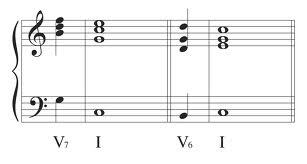 Perfect Cadence is cadens perfectly with the chord sequence level IV-V-I. In lagulagu pop chord progressions to get to meet a lot of this type. 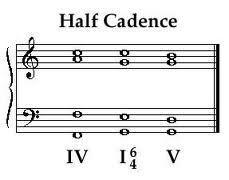 Half Cadence, is a type of chord progressions cadens having V-I levels. In the example below the song at the end bars are the 3rd and early 4th bars. Plagal Cadence, this kadens type of level IV chord progressions - I.